Our signature program, Defensive Options®, is an attentive and purposeful coalescence of Krav Maga, Muay Thai, wrestling, Brazilian jiu-jitsu, boxing, and athletic performance training, culminating in a self-protection program for those interested in living a better and safer life. The curriculum is progressive and dynamic, in the way realistic self-defense was meant to be. While others remain rooted in traditional outdated movements, we continue to test everything we do, in order to make sure what we offer is the best training available. If you are looking for a self defense training program which will improve your instructors, make your students safer and exponentially boost the value of your program, Fit to Fight® is the organization for you. Fit to Fight® Defensive Options…because Everyone's Fighting Something™. Fit to Fight®’s Hard Ready™ is a unique course, that was designed to address THE single most important, and non-variable component to conflict: Emotional preparedness. Hard Ready™ is very much about addressing our own personal habits and modifying them in small, progressive ways to create a compounding effect concerning overall self-sovereignty. Ultimately, the ability to control ones emotions is the single most important variable in any situation. A strong connection is made between physical exertion, more specially interval training and the demands placed on human beings under heavy levels of stress. The classroom activities of the Hard Ready™ Program are designed to harden emotional resolve but also to address the emotional dynamic that pervades actual altercations. Pre-Emptive Striking is the foundation of the actual “fighting” part of the program, though “support system” lessons delve further into the physical anatomy of fighting. A great focus is also put on the most effective fighting systems including Wrestling, Boxing, Muay Thai and BJJ. In addition to the Hard Ready™ program, an annual seminar series is held for practitioners and students from all levels and backgrounds to gather for 3 days of training in the aforementioned programs and more. Information is available at www.hardready.com. Fit to Fight® Hard Ready™…because most conflict is internal. 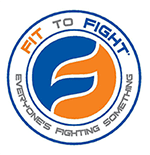 Pride is Fit to Fight®’s exclusive kids training program. This program provides an enriching, safe and unique martial arts experience designed solely for children. Pride offers kids an exciting and varied curriculum, exposing kids to Muay Thai, Brazilian Jiu-jitsu, Krav Maga, sports conditioning and more! This program allows kids to be well-rounded martial artists and community members. Pride is based on the coming together of the emotional and physical needs that are actually manifest in the lives of our children today as opposed to watered down promises often mistakenly associated with Traditional Martial Arts, that are so rarely delivered. Fit To Fight® has developed programs primarily designed to aid in implementing campus safety procedures while recognizing the need for realistic training and solutions. These programs consider that many traditional “fixes” may be cost-prohibitive, impractical, politically unpalatable and/or simply ineffective. Solutions offered by Fit To Fight® include, but are not limited to, active and passive measures not meant only to “harden” targets, but rather to create zones less likely to be seen as targets. This will be accomplished by employing a series of measures making these “zones” less appealing to potential assailants. Fit To Fight®’s Active Killer Defense™ is designed as a dynamic training modality, involving physical defensive tactics training, realistic scenario training, and lectures. The end goal is to create safer and more secure schools, businesses, churches and communities. Click here for additional information on the Active Killer Defense™ Training Program.